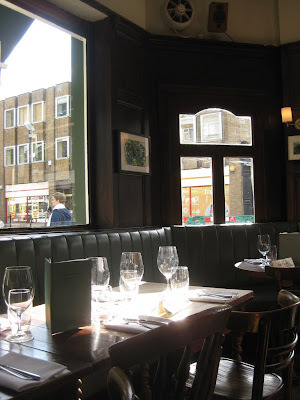 Your author is often criticised by his friends for his East London bias, so he took a research bike ride to South London on Saturday, visiting many fantastic places, including a return trip to the Palmerston, on Lordship Lane, East Dulwich. It's a lovely little pub, with two wood panelled rooms, and a good selection of food and drink. Over at fancyapint, they bemoan its conversion into another gastropub, but your author has never known it as anything else, so he's reasonably at ease about it. Having said that, it is a bit annoying that during some periods they wont let drinkers sit by the window, even when no one is eating. 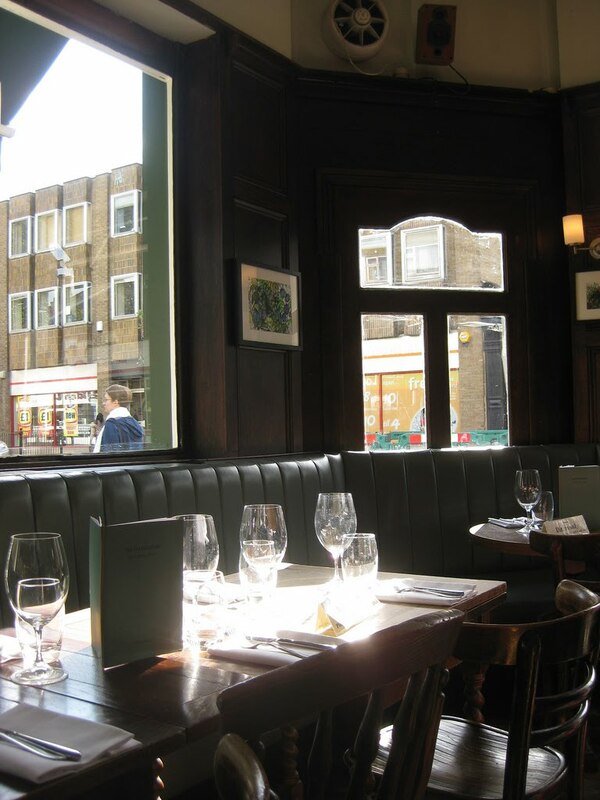 The Palmerston began its new life as a gastropub and, we are told, dropped the 'Lord' from its name, in February 2004. Since then, the pub and Head Chef Jamie Younger, have won a range of accolades, and is really proud to have been named the ‘Best Gastro Pub in London, Gold award’ at the LBC, Independent Newspaper - ‘Living London’ 2006 awards, have been listed by Restaurant Magazine as 59th Best place to eat in the UK, and having been given a rosette by the AA. Presumably these are all good awards so he has every reason to be happy with his efforts.